If—like most of us—your entire understanding of DNA and genetics can be traced back to CSI reruns, you’re probably under the impression that your genome is unique; that it defines you completely. But scientists increasingly believe that’s not that case. In fact, we need to start thinking about our genomes differently. A genome, produced when egg and sperm meet at conception, bundles all of a new human being's hereditary information in one place. The egg divides again and again, at each point producing new copies of the original genome until a baby is formed. People who exhibit more than one genome are referred to as chimeras—after the mythical Greek beast—but until fairly recently it seemed to be a very rare condition. In a wonderful feature for the New York Times, Carl Zimmer explains that scientists across the world are discovering that many of us contain more than one genome. Now that genome sequencing is much cheaper—thousands of dollars as opposed to millions—researchers are noticing that chimeras are far more common than they thought. Some of us have mutated cells within isolated parts of our bodies, for instance, while other are riddled with genomes that came from other people. Zimmer points to a 2012 study, for instance, where scientists performed autopsies on the brains of 59 women. They found neurons with Y chromosomes—usually only found in males—in 63 percent of them. They most likely came from the sons they all gave birth to. Humans can exhibit that kind of multiplicity through mosaicism, too, which is where small, isolated patches of the body contain cells coded from a different genome as a result of mutation. A rare form of leukemia is a result of mosaicism—where a blood cell spontaneously mutates as it divides—but it seems to be common in healthy cells, too. A Stanford study, for instance, autopsied six people and found that five of them had cells in different organs where entire stretches of DNA were duplicated or deleted. What’s not clear at the moment is the impact which chimerism and mosaicism—which, clearly, are far more common than we thought—might have on our health. That’s because we’re only just realizing it’s so prevalent. Fortunately the common consensus is that there’s probably not too much to worry about.”[I]t’s safe to say that a large proportion of those mutations will be benign,” explained Dr. Christopher Walsh, a geneticist at Children’s Hospital in Boston, to the Times. In fact, some studies even suggest that extra genomes might even be beneficial, though it’s too early to tell for sure. There are, however, some more practical—and pressing—concerns. 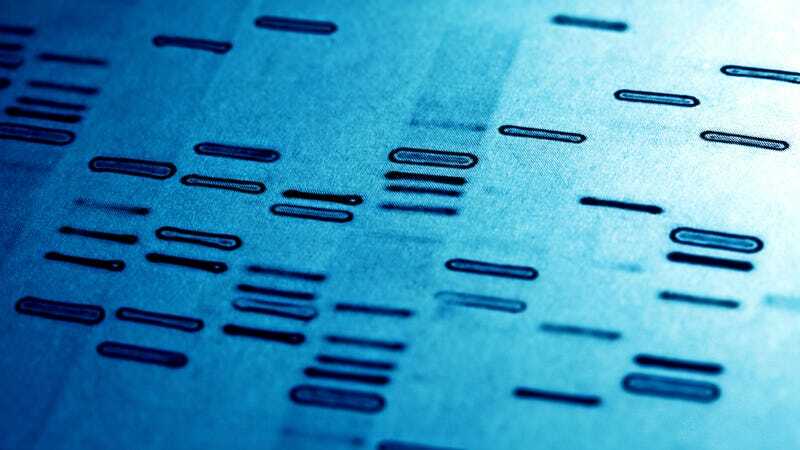 The obvious worry is forensic science; identifying criminals from DNA traces might not be quite so straightforward if people are actually carrying a variety of genomes. That’s not just a hypothetical situation, either; just last year, the Washington State Patrol Crime Laboratory Division found that a saliva sample and a sperm sample from the same suspect didn’t match. Of course, those issues are mitigated when you have multiple pieces of evidence to work from, but crime scenes don’t always offer that kind of luxury. Perhaps more important, though, is genetic disease testing and the increasing trend of personal genome sequencing services like 23andme. What if the wrong genomes gets sequenced, and a patient is left in the dark, potentially unaware of a disease-causing mutation somewhere in their body? Or given the impression that they're genomically inclined to a fate that they are, in fact, not? At the moment, there’s no safeguard in place to avoid it. While genome sequencing is getting ever-cheaper, it’s still no bargain: it costs upwards of $1,000 and takes around two days to complete. So, right now, double screening samples from different parts of the body isn’t a viable solution. Nor, for that matter, would it necessarily be particularly effective, if, say, a patient was exhibiting mosaicism deep within the body. But the biggest barrier is that fact that, while a body of evidence is emerging to support the fact that multiple genomes are more common than we thought, it’s still far from commonly accepted within the medical community. Until that changes, we may as well all be chimeras.